Take advantage of being able to completely customize your prefab. Learn how to help your modular house stand out from the crowd and feel like home. 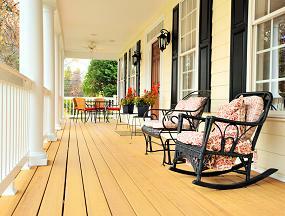 It cannot be overstated how completely a front porch will change the overall look of your modular home. Some home styles – most notably the colonial style – seem incomplete without them, but adding a porch can give your home an inviting feeling while also adding extra living space. 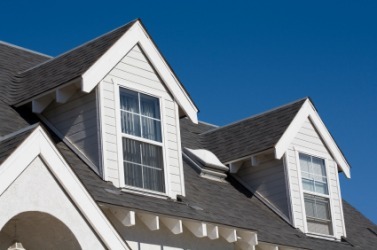 Dormers are an inexpensive way to add character to your home by changing the silhouette of your house and adding some variety and character to your roof. 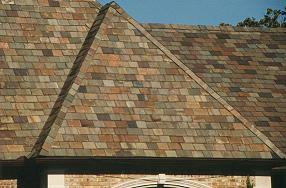 Dormers can be functional, aesthetic, or both. Sometimes they are added on to the roof and change the look of the exterior without actually opening up into the house. Other times the roof will be cut away where the dormer is attached and they can provide lots of natural light to a room. Some exterior aesthetic changes are much less expensive when they’re made to a modular home – attractive roofing is one of them. For a site-built home it might require a specialty roofer to purchase and install expensive tiles, slate, or ceramic roofing, but most modular manufacturers take advantage of their bulk purchasing power and can get you great deals on beautiful roofing materials. The front door of a home can say a lot about the people who live there. Having a unique or decorative front door can be an inexpensive way to set your modular home apart from the other houses around you. 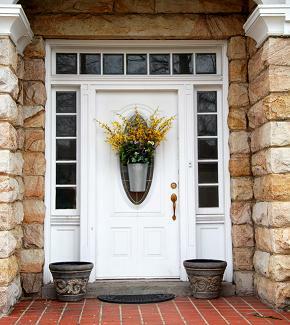 Remember though that a front door is primarily functional, not decorative. Too much glass can pose a safety risk and if the door is too thin or doesn’t fit well in its frame, your house could be wasting a lot of energy. 5 – Don’t Forget The Paint! 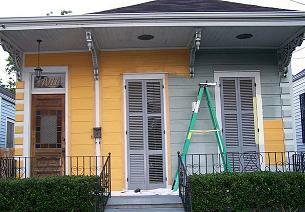 Never underestimate how much a good paint job can change the look and feel of a house. For many people, paint is an afterthought, but it not only has a major effect on how your house looks, but the color of your home can actually influence your mood on a daily basis. After a long day at work, coming home and seeing welcoming colors that you love can make a subtle but substantial difference. 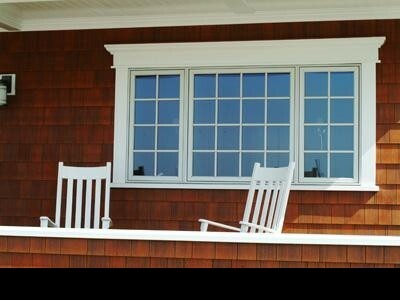 Perhaps the easiest and least expensive change to make to your modular home is what sort of windows you want to have. Most manufacturers will give you an extensive list of choices, even with their standard plans. Having windows of different shapes and sizes on the front of your house can help the house look more interesting, but some modular home styles, like the Cape Cod style home, work better with very symmetrical looking fronts. 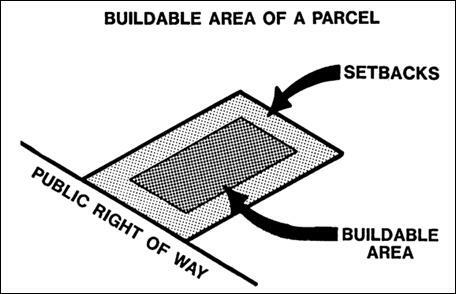 If you are building on a large enough plot of land, consider setting your house farther back from the street than you might otherwise do. Even a difference of a few yards can give you a sense of privacy and quiet that you might not otherwise get on a busy street. Always check your local zoning regulations; sometimes neighborhoods mandate exactly where a house can be placed.